Singer Katy Perry will be in concert in Barcelona next February 16th. Katy Perry continues her successful career since she became famous in 2008 for her daring song “I kissed a girl and I liked it”. But it was her last album Prism which has turned her into a superstar because since its launch in 2012 has continued to reap rewards, bestsellers and guiness records. Fully involved in her new world tour, “Prismatic World Tour”, Katy Perry lands in Barcelona to start the European leg of the world tour. Katy Perry’s concert in Barcelona will be the only one the singer will hold in Spain. 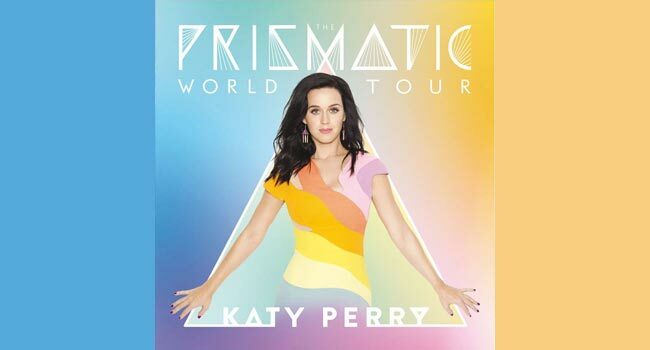 Katy Perry’s concert in Barcelona will be on February 16th at the Palau Sant Jordi, at 21:00. There are still tickets on sale so if you are a fan of the singer, you cannot miss this opportunity. And if you are not from Barcelona and you want to come see Katy Perry in concert, remember that you can stay at Hotel Paseo de Gracia, a centrally located budget hotel.